Follow the classic style way of life. 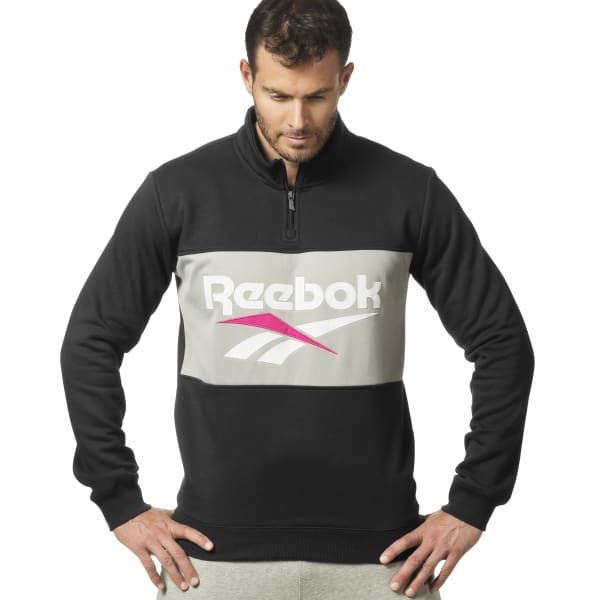 Add this men's half-zip sweatshirt to your wardrobe for an instant infusion of timeless vibes. You'll love the bold, iconic logo for its heritage stamp up front. Plus, the ribbed hem and cuffs help the fit stay cozy.